Nothing else can quite convey exactly how a person is feeling like a GIF. With typed words it is hard to get the right tone, inflection or facial expression, and there just isn’t a sarcasm font… yet. Along similar lines, memes can also be used to express a person’s thoughts, or they can just be used to make everyone laugh. Throughout the day most people come across several memes a day. They will save the ones that they like or want to save to their phones, and often will have several favorites at the ready for various situations. In many Facebook groups and pages, the quickest way to get a TON of comments on a post is to ask the group members or audience to post the most recent meme saved to their phone, or post a reaction GIF that ties with the post. 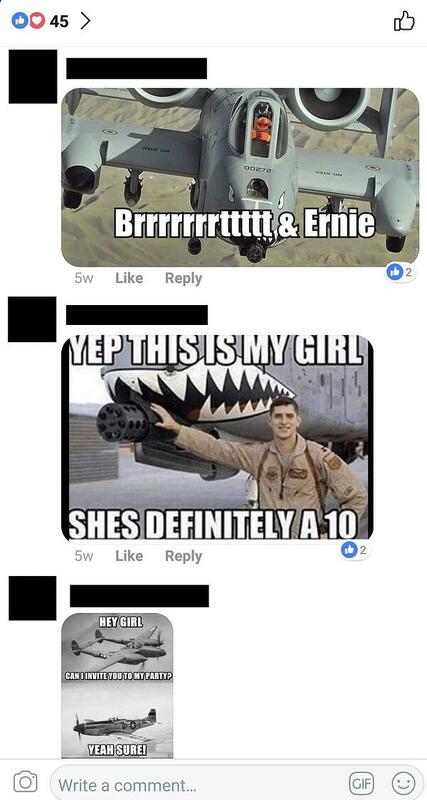 Engagement on these types of posts is typically through the roof. Here's a great example of a meme contest from Octane AI customer, Aviator Gear (run by their agency MuteSix). To add even more engagement, you can combine the request to post a meme with a contest. This gives the audience even more incentive to find their favorite meme and leave it as a comment on the post in the hopes of winning a great prize. Use Boosted Posts to further increase the reach for your post and watch the comments roll in! Asking your audience to comment with a meme or a reaction GIF allows them to show a little bit of their personality, and everyone loves to feel like they have contributed. Plus it makes the contest a lot more fun than just pressing “like” to enter. While memes can be great, GIFs can sometimes be even easier to inspire people to post. Now that Facebook allows you to search for GIFs right inside the comment field, the barrier to entry is extremely low. Before you launch your contest, think about making it as easy as possible for your audience to enter. Post a GIF that shows how excited you would be to win! Post your favorite product-related meme! Who is your favorite celebrity? Post a GIF! Show us the “go-to” GIF you post most frequently! Theses types of posts are generally very successful. Facebook rewards posts and pages that get engagement. When you do have a post that gets a lot of likes and comments, your next post will likely be seen by more of your audience. If you can piggyback on the success of one post, your page will continue to grow. Creating a contest where entries are generated through comments on a post has another added benefit. Since posting a meme or GIF is actually posting a comment, you can utilize Octane AI’s comment capture feature to follow up with these potential customers on a more personal level. Using Octane AI’s Comment Capture feature, you can automatically send messages to the people who enter your contest. You want to nurture this relationship as quickly as possible before the potential customer forgets all about you. Staying top of mind these days is extremely difficult. Starting a one on one conversation with someone who has already put forth the effort to engage with your post can make a lasting impression. Particularly with a meme or GIF-based contest you can send a highly customized reply that appears to be coming from a real person, and wouldn’t seem out of place when they receive the message. In order to continue the engagement you will want to ask them a follow up question that inspires them to respond, but doesn’t require them to put a lot of thought into that response. Once the customer responds you will be able to send them more broadcast or promotional messages in the future, so ask questions people can’t help but to answer! Don’t let this opportunity to engage with your customers on a deeper level pass you by! Getting these small touches of easily accessible engagements can pay off in big ways for the bottom line of your company when you are ready to walk them across the finish line. 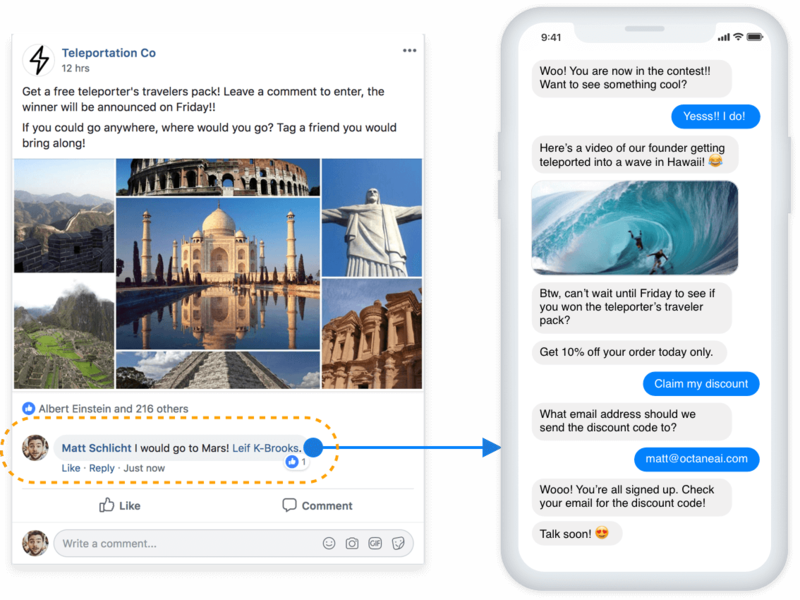 As you pair Comment Capture from Octane AI with a post that encourages comments like a meme or GIF contest, the result will be a highly targeted list of potential customers that are more likely to make a purchase when you are ready to make a sales push. 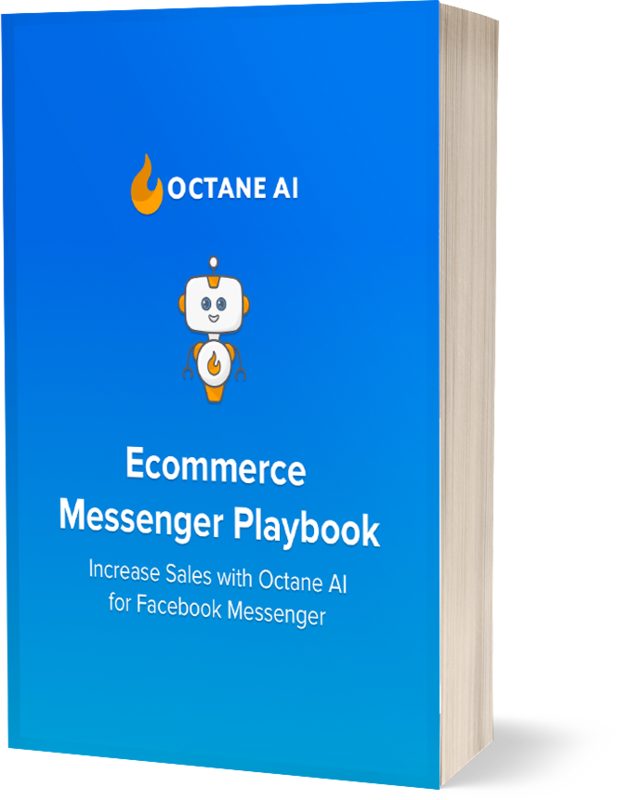 Check out Octane AI with Comment Capture today and you won’t miss out these easy sales.